I am a former midwife and now work as The Accidental Knitter, producing knitted and other handmade items. My husband and I bought 96 Bramshot Avenue as a rebuild project and it’s still very much a work in progress! I have had a number of pop-up shops over the last 12 months and have been overwhelmed by the support from the local community. 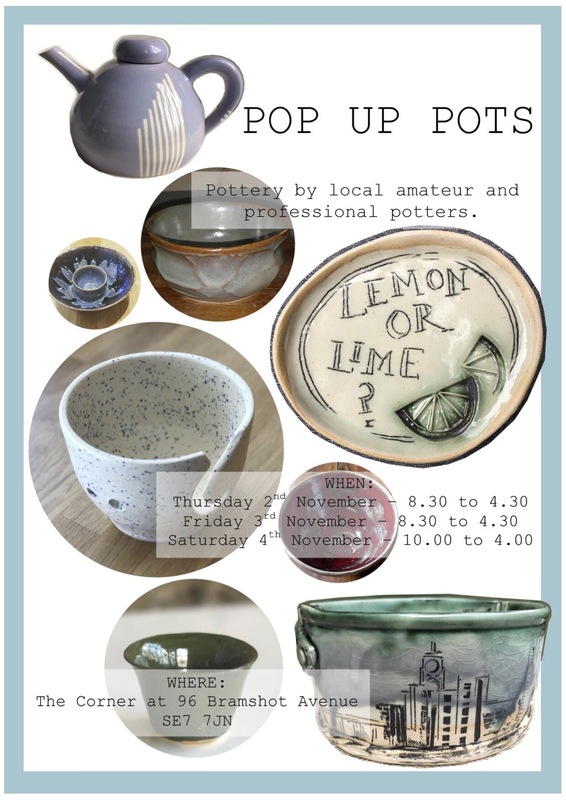 I met Fiona Veacock during this time and am delighted to be hosting a pottery pop up to showcase her work along with Anne Richards, Katherine Joekes and my own. I am lucky to have my own wheel and share a studio with Anne and having making a piece of pottery as an item on my a bucket list has changed the direction of my life. The plan for the shop in the long term is for it to be a coffee shop but that is very much my husband’s project. PS. We’d like to feature more local artists and makers on The Charlton Champion – as time allows – and we’re particularly interested if you produce work that depicts or features the local area. Get in touch with us here!